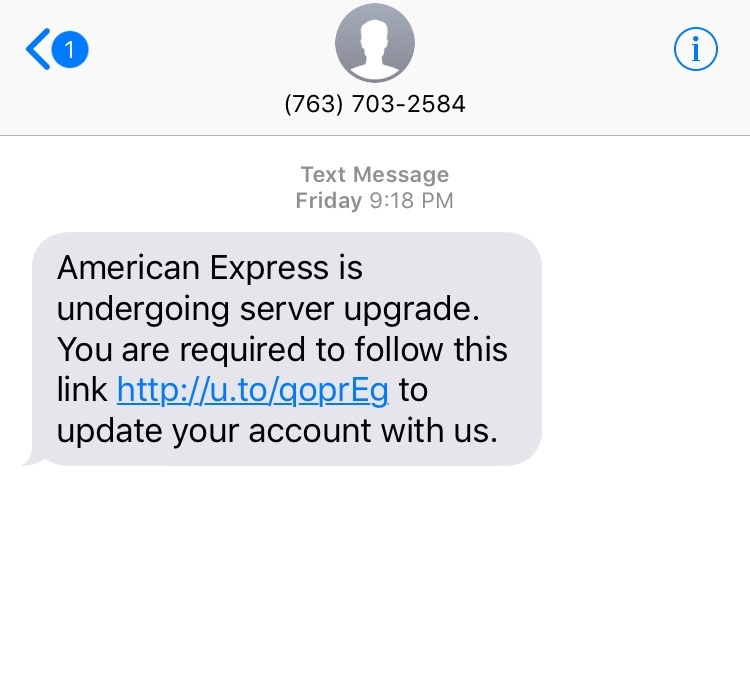 Below is a picture of a targeted American Express Phishing Text received on Jun 8th, 2018. 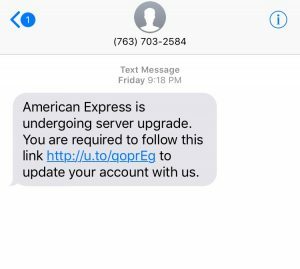 As you can see the link on the text does not reassemble anything American express would sent you. But to someone accustomed to using short links, they may click anyways. If you do, it will redirect you to a landing page with a login and password (see image below). Look again at the domain in the address bar. It is obviously not from American Express. What is impressive is that they copied the entire menu bar and each button will redirect you to the actual American Express website. Except the page they want you to enter your information. So, if you don’t have the habit of double checking the website address, this site will look legitimate and you may fall for it. 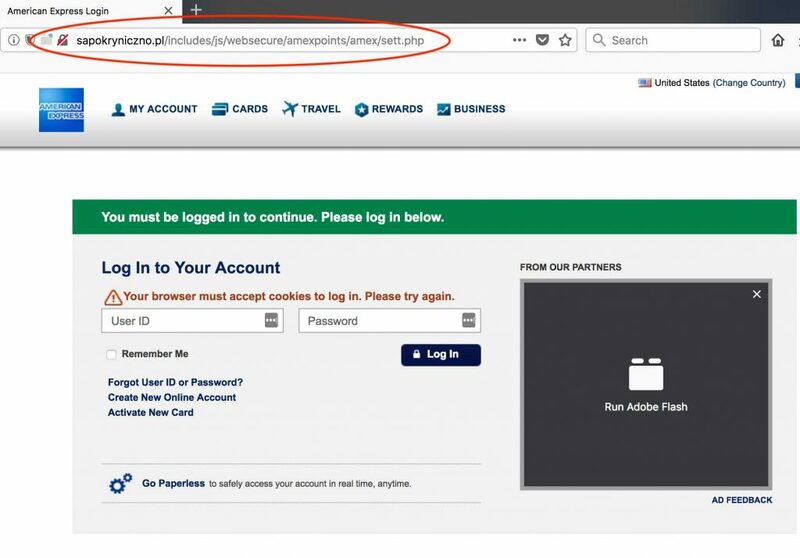 If you entered your credentials on the phishing page, the hacker would get your information and your entire account will be compromised. Obviously report this number and also share this page with your family members, community or anyone that could benefit from this. Sadly, some people will fall for it, but stay vigilant. “Never trust but Verify”. 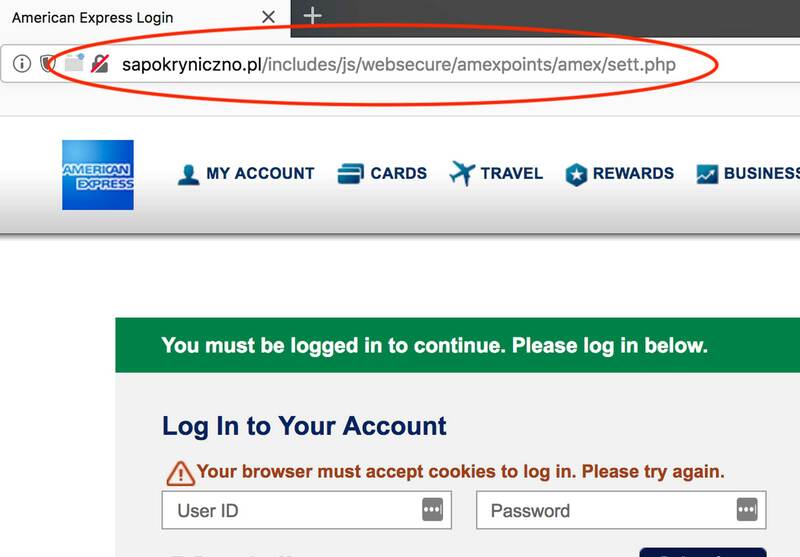 To be safe contact Amex and check if your account has any unrecognized charges… if anyone you know entered their info on the page, they must call Amex as soon as possible. For IT managers: Block “ sapokryniczno . pl” on your network.